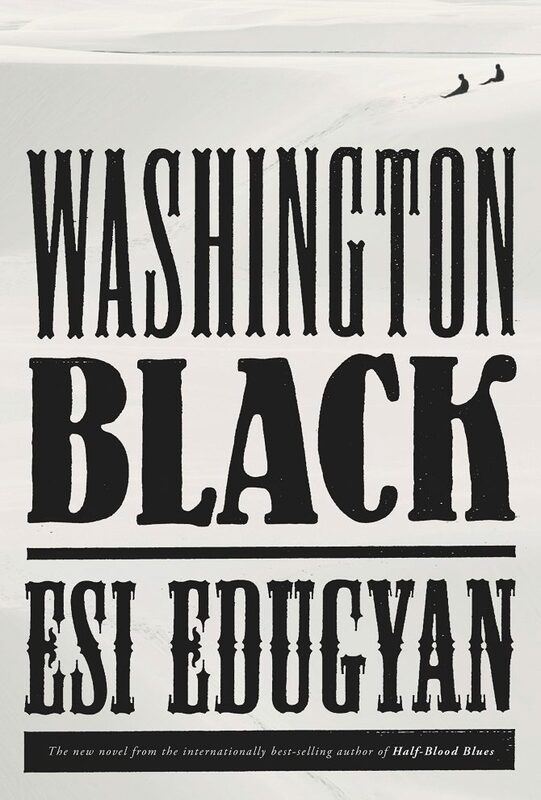 I’ve been really excited to read Esi Edugyan's new novel, Washington Black. It piqued my interest for a few reasons. First and foremost, I’m committed to reading more books written by women of color. Second, the setting and topic appeals to me—a story about the African diasporic experience in the 19th century. Third, it sounded like a great adventure story, and I don’t read a lot of adventures generally. I also have to admit, too, that reviews and buzz really spark my interest in picking up a book, and the initial reception of this novel has been exceptional. The Washington Post calls Edugyan “a magical writer.” Entertainment Weekly names her “one of our sharpest and deepest writers of historical fiction.” The New York Times Book Reviews raves: “Gripping… Astonishing... Washington Black’s presence in these pages is fierce and unsettling.” Not to be outdone, The Boston Globe proclaims it as an “enthralling meditation on the weight of freedom, wrapped in a rousing adventure story stretching to the ends of the earth.” In addition to strong reviews, it also has been short-listed for the Man Booker Prize. Luckily for me, my number came up on the hold list last week, so I finally had a chance to read it. Washington Black lives up to these rave reviews—I love this book so much. I devoured it. It’s been a minute since I’ve stumbled upon a book that made me just want to get home so I could read. It hit that inexplicable sweet spot in me that the most addictive books do. To give you the briefest account of the story, George Washington Black aka Wash is an eleven-year-old slave in Barbados. When the plantation where Wash lives changes hands, a new family takes over, resulting in the arrival of a brutal new master. Shortly thereafter, the owner’s brother Titch arrives. He is the opposite of his brother: a dreamer and inventor, working on an “aerostat” flying machine (basically an early airship), and, as we learn later, an abolitionist. Upon arriving at the plantation, Titch chooses Wash as his assistant. After the massive undertaking of building the aerostat, they attempt to fly it. They crash land on a ship set for America, and an adventure ensues which takes Wash to Virginia, Canada, England, and beyond. All of this travel and adventure is breakneck and seamless. The story is told in first person by Wash, and the language Edugyan uses is authentic and captivating, putting you right in the world of the mid-19th century. The characters are well drawn and leap off the page. So, given all this, it leads me to assert something that I’m sure will ruffle the feathers of someone, somewhere. Washington Black is so good, so well written, so relevant, so important in the story it tells and the perspective from which it's told, it can (should?) replace older, more problematic books in our canon. At the very least, it should stand beside those books for comparative study. This novel holds its own with classic stories of the 19th century African diasporic experience. It should be assigned in English classes as a major novel about the 19th century slave trade. I'm serious. For real; this book is that good. Get yourself a copy and see. —Brad Allen is the Executive Director of Lawrence Public Library.